Posted March 6th, 2019 by TheBuzz & filed under News from our Advertisers. Wintertime here in Colorado comes with cold and dry weather. This makes dry skin issues even more of a problem than at other times of the year. These concerns can vary from mild dry skin to severe eczema symptoms. Eczema tends to present in patches of skin which are dry and rough in appearance and pink to red in color which vary in size. These can be very itchy and bothersome to both children and adults. As a parent, there are things you can do to help your child with dry skin during the winter. One of the most important things you can do is to use a good lotion every day for your child. Unscented lotions work better than scented lotions such as Johnson and Johnson baby lotion. This is because, especially in the case of eczema, fragrances can make eczema symptoms worse by irritating the skin. For some children, bathing every other day with unscented soaps, rather than daily, can also lead to significant improvements in dry skin issues. If your child has eczema, they may need topical steroids from time to time to help their skin to heal. These topical steroids, such as hydrocortisone and triamcinolone, are safe to use even at young ages. If you feel that your child may benefit from the use of a steroid ointment for their eczema, discuss this with your pediatrician. Posted March 5th, 2019 by TheBuzz & filed under News from our Advertisers. Thornton, CO – If you’ve seen Antiques Roadshow, you know just how valuable antique jewelry and memorabilia can be. The Great Estate Buying Show from the traveling appraisers at National Rarities is coming to Colorado, and Thollot Diamonds will be hosting their first show in Thornton this month. National Rarities is looking to buy your valuables in the forms of collectibles, jewelry, and more, offering free verbal appraisals and immediate payment with no appointment necessary with the exception of firearms. What’s more, from Tuesday, March 19th through Thursday, March 21st, Thollot will be offering an additional 20% if you take payment for your valuables in the form of store credit. For those who have prized items sitting at home collecting dust, there is no better time to cash out and apply your earnings toward your jewelry purchases at Thollot. Fine jewelry. Firearms, coins and currency, fine art, loose or damaged stones, scrap gold and silver, and watches are just a handful of belongings National Rarities will verbally appraise and buy from Thollot customers throughout the event. Additional rarities such as autographs, war memorabilia, and old photos are also items of interest to the estate buyers. 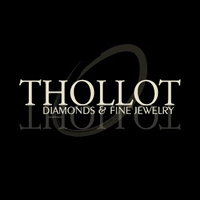 In order to find out what your valuables are worth, visit Thollot Jewelers at 3790 E 104th Ave, Thornton, CO 80233 between March 19th and March 21st. If you plan on selling your firearms, please make an appointment by calling 888-787-1112 to schedule. Posted March 3rd, 2019 by TheBuzz & filed under The Buzz. Do you ever wonder how the mysterious “good luck charm” seems to find a home with everyone but you? Well, I guess it might be something as simple as having a good attitude no matter what’s going on around you. I’ve found that there’s usually a positive hiding in every negative that might not surface for awhile, and then there’s that moment where it all makes sense. For this month of March, we offer that you’re among those that are lucky to have a good attitude and power through each day looking for its bright spot. It seems like we’re going to get a breath of Spring this coming week with a few warmer temperatures. Most everyone I know is looking forward to all the joy and growth Spring brings to us annually. Not only does nature bloom, but so do our spirits to try new things and take on projects that have been in the planning stages and are now ready to launch. 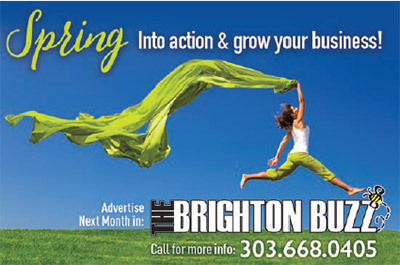 This issue of The Brighton Buzz is filled with all types of resources for every aspect of your life as well as interesting articles on a variety of topics. Be sure to check out the upcoming activities on pages 56 and 57 and put them on your calendar for the next few months. We hope you feel like getting ready for Spring as you read through these pages and prepare to enjoy the season. We want to give a special thank you to our very talented Art Director who suffered a skiing accident during the time we put this issue together. His ability to work through his injury was very much appreciated and inspiring. We hope you fully recover quickly, Kovas! 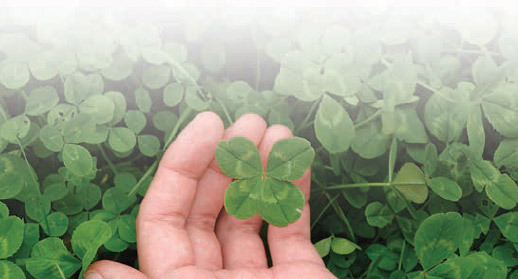 May Luck Be With You This March! Posted February 27th, 2019 by TheBuzz & filed under News from our Advertisers. House hunting can feel a bit like dating. You see sparks in one, but a deal breaker looms large. Or you can see a home with a lot of potential and feel hopeful that you can make it work. Everything from crazy wallpaper that is different in every. single. room. may not seem like such a big deal until you google how “easy” it is to take off wallpaper. The rooms are small, but manageable, but then there’s the master bathroom. Who thought that tile was a good idea? Lot size, carpet, kitchen, garage… everything plays a role. But it’s a seller’s market and you have to move fast. The house you’re looking at today could be under contract tomorrow. So how do you know when the house you like is THE ONE? These 5 points will get you thinking about what’s right for you. The commute alone can kill your new house buzz. Consider a neighborhood you want to put down roots in, but also affords you the commute time you enjoy and opportunities if you decide to change jobs. This cannot be stressed enough: buy the house you can afford, even if you get approved for more house. Economies ebb and flow, and even government jobs can be subject to fluctuations. 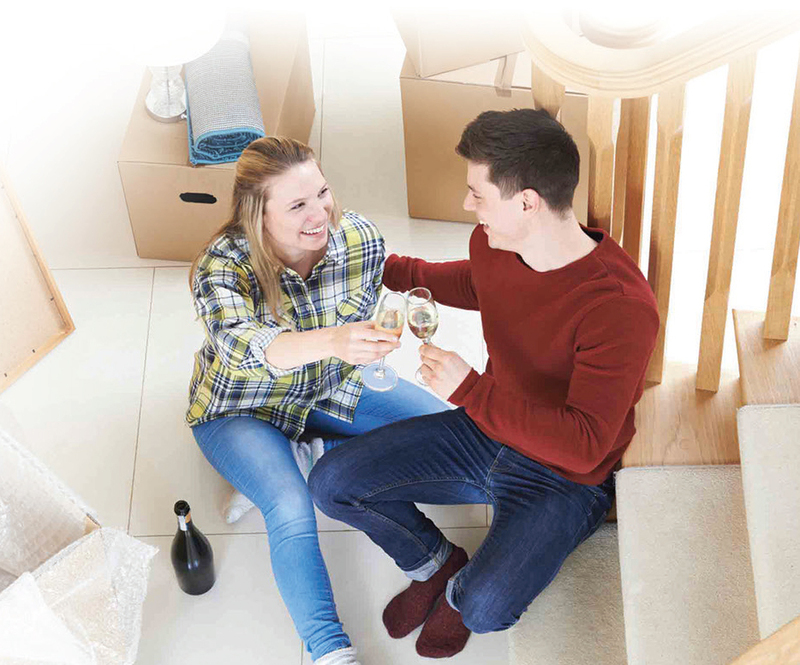 Having a mortgage you can carry, if things get tight, is paramount to your long term love affair in your new home. It goes without saying that having a REALTOR® you can trust makes all the difference. 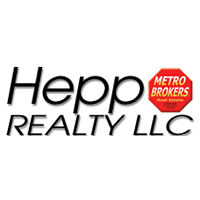 Aside from in-depth knowledge of the market, insider info about neighborhoods, and networking opportunities to find houses before they’re even on the market, having a real estate professional in your corner means having someone you can trust to help steer you toward your best interests. And steer you away from that house that needs a lot of fixer uppers, even though the kitchen is “just perfect”. We all have them. Make a list of your must-haves, nice-to-haves and absolutely-nots before you start house hunting. This will make it easier to walk away or to weigh the pros and cons when you make your decisions. Depending on the housing situation you’re leaving, you may not have a lot of buffer built in before you move into your new home. Consider that when making your purchase. It’s a lot easier to renovate or paint before you move your furniture in, but if you can deal with the army green wall (for now!) it’s worth making an offer. As with dating, it’s important to have standards but be willing to look at your options from all angles. You may find yourself drawn to a house that wouldn’t normally catch your eye, but it feels right. If you have questions about buying a home, it’s important to have a resource you can trust. Call me at 720-422-9320, and I’d be happy to help you find a home to fall in love with! At Blue Ribbon Hearing & Tinnitus Center we believe that the world would be a better place if everyone with hearing loss could hear and communicate effectively. By treating hearing loss, knowledge and wisdom can be passed from generation to generation. Greater communication and understanding leads to better solutions for a variety of society’s problems. Many expensive health-related problems that can be physically and mentally devastating can be diminished or prevented by treating hearing loss. Better understanding of the challenges faced by individuals with hearing loss and their loved ones can help reduce many stresses that can arise from diminished communication. You can show your family and community members with hearing loss your love by being patient. Changes to the auditory system and brain due to untreated hearing loss can make understanding more difficult in all situations. A few simple techniques can help when communicating with someone with hearing loss. Speaking slowly and more clearly can improve understanding. Rephrasing your question or response is generally more effective than repeating more loudly. Asking the hearer to repeat what they think was said can help clarify and reduce misunderstandings. 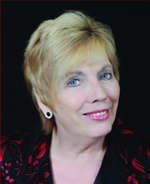 Individuals with hearing loss often resist getting help for numerous reasons. Choosing to get help shows loved ones what they have to say is important. Hearing more clearly reduces listening fatigue and can improve relationships. Social activities such as dates at restaurants and parties can be much more enjoyable with technology designed to focus on speech and block out noise. We love to help people more effectively hear and communicate. Millions of people in the United States needlessly suffer with anxiety, depression, frustration, isolation, loneliness and stress due to untreated hearing loss. Treating hearing loss has become easier than ever before with amazing technological advancements and devices designed for nearly every type of hearing loss. Zig Ziglar used to say: “You can get everything in life you want, if you can help enough other people get what they want.” Last month, I was reminded of that quote by the mother of one of my students, Ms. Petersen. While I usually like to write about things that I’ve experienced; this time, I have chosen to simply pass along her experience at our school and about her son, Lincoln. I was very touched by her words, and I hope that others in our community may find value in them. Ms. Petersen, originally shared her thoughts through Social Media, and gave us permission to reprint them here. Enjoy! “We found karate for Lincoln to teach him balance and focus. We didn’t know we would find so much more. We found a family that we didn’t have in Colorado. Lincoln found great role models and wonderful friends. I found amazing friends and a community to help me raise my children. 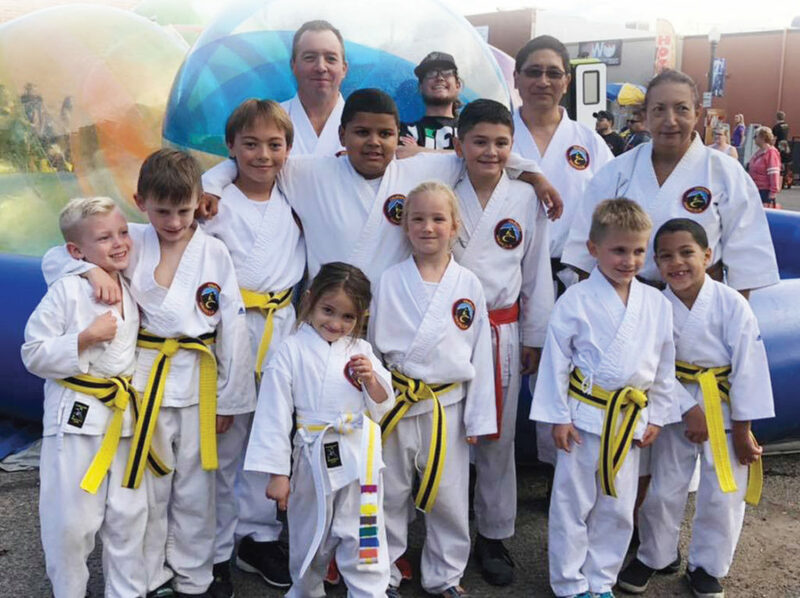 To give you some insight, Colorado Karate Club is a family run business from the Sensei to his daughters (that also teach), to the amazing woman Kimberly (Mrs. Sensei) behind the scenes that completely runs this business! Kimberly is always so helpful even when I have stupid questions because I haven’t read the newsletter. Maria is always such a sweet blessing to all the kids with her soft but firm discipline and bright smile! We truly couldn’t be more pleased with karate and found a lot more value in what we originally thought we were signing up for. The Strohmeiers run their business with love and it really shows in the community they have built. This family puts their heart and soul into your children. They truly love and care about the kids and set a great example of integrity and respect. Lincoln has learned so much from Willy, Elizabeth, Wendy, Maria, and all the other Senseis. I am extremely grateful for this entire family and their beautiful hearts. Karate has been a place where Lincoln has made wonderful friends and I have too. Something that I really didn’t expect. All the moms here are like mother hens and not only watch their own children but help with yours too. It’s not karate, it’s community. 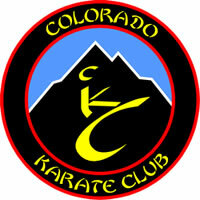 If any of my friends with kids are looking for a sport that will teach their children respect, love, and determination please check out Colorado Karate Club in Brighton you will not be disappointed. With the colder temperatures of winter, many kids and teens are spending more time indoors. This often leads to more time spent in front of the TV or other electronics. It is important for parents to monitor and limit the screen time that their kids have. Parents should be aware of what shows or movies are being watched, what internet sites are being accessed, and what information is being shared on social media. One way to be aware of this is by having TVs, computers, or tablets only used in common family areas such as the living room or the kitchen. Since smart phones provide easy access to the internet, parents should also routinely check their child’s cellphone activity. Parents should become familiar with the shows, games, and social media sites before allowing their child or teen access to them. Screen use in the hour prior to bed can also negatively affect a child’s quality and ease of sleep. Instead, this is a good time to encourage reading or talking with your child to catch up on their day. With increased screen time, many kids and teens are not as active as they may be during the warmer seasons. It is recommended to set a daily screen time allowance, such as 2 hours or less, for school-aged kids and older. Limiting screen time can also help promote less sedentary activities and make sure other responsibilities are taken care of. Posted February 22nd, 2019 by TheBuzz & filed under News from our Advertisers. The National Center for Injury Prevention and Control reported that motor vehicle accidents are the leading cause of death for children over the age of 4 and are the 2nd leading cause of death for children ages 1-4. Studies repeatedly show that use of child safety seats/booster seats can significantly decrease risk of death and/or serious injury when compared with age matched peers restrained by seat belts alone. But we already knew car seats work, so what else can we do!? 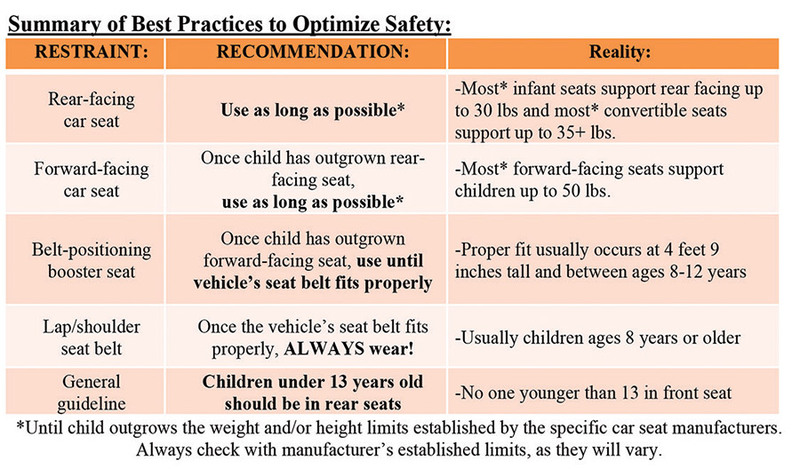 While the state laws of Colorado remain relatively unchanged, the American Academy of Pediatrics (AAP) published an updated policy statement in August 2018, “Child Passenger Safety.” This policy statement outlines the 5 best practices to optimize child passenger safety. The largest change in the policy statement is to remain rear facing as long as possible. Rear facing car seats support the head and neck and allow the force of impact in an accident to be distributed to the car seat. When forward facing, the body is restrained and the head is able to move freely on a proportionally smaller neck, allowing for possible neck and spine injury. So although many parents are eager to let their little one stretch their legs and see the sites, it may come at the expense of increased risk of injury if transitioned prematurely. Parent Resources: healthychildren.org, American Academy of Pediatrics, and DMV.org. 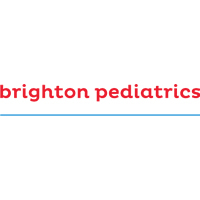 For more information, talk with your child’s Pediatrician for the most up to date recommendations based on age and size at your next check up! Posted February 20th, 2019 by TheBuzz & filed under News from our Advertisers. Spring is just around the corner and it’s the time when many homeowners start thinking about home remodeling projects. Regardless of the motivation, all remodeling projects tend to help us feel better about our home once the project is completed. That said, not all home improvement projects are created equal, and some have a much greater return on investment (ROI) than others. These five projects will garner top-dollar ROI according to the Remodeling Impact Report from the National Association of REALTORS®. New Roof: If you haven’t already replaced your roof after the major hail storms of 2018, this may be a project worth looking at. The report projects a 100% or more return. Hardwood Floors: Hardwood floors are a timeless classic. You can expect to recover 100% of your investment for refinishing existing hardwood flooring. If you are investing in new hardwood, the report estimates a 90% plus return on your investment. New Garage Door: A great way to boost the curb appeal of your home for not a lot of cash outlay, and it comes with a projected ROI of around 87%. New Siding: Adding vinyl siding to your home, in almost any color, adds to the curb appeal and comes with a projected 75% ROI. It also eliminates the need to ever paint again and comes with a fade-resistant finish and transferable lifetime warranty. Upgraded Insulation: Make a significant difference in your utility costs while also making your home environment more comfortable. The report estimates an ROI around 75% plus the saving on your utilities. Eagle View Adult Center (EVAC) has made some big changes already in 2019. The adult center is now open until 8 p.m. on Wednesday and offering free rides to and from the center for the entire year! 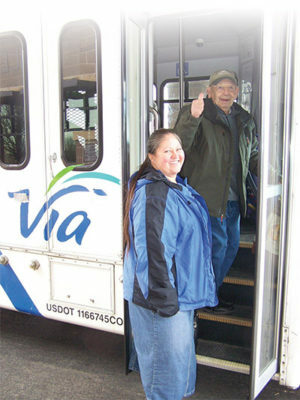 The free rides are provided by Via Mobility Services and the new, extended hours were implemented in January following the result of a survey that was sent out in 2018 where residents mentioned they wanted more programming options in the evenings. “This is an exciting time for Eagle View Adult Center as it begins to serve the community who work full-time jobs,” Manager of Eagle View Adult Center Sue Corbett said. The new extended hours will offer a variety of activities such as movie nights, structured classes and presentations. Meanwhile, the free rides comes from a partnership between EVAC and Via. This yearlong, free shuttle service was made possible from Turkey Trot proceeds and fundraisers the Senior Advisory Board holds throughout the year at EVAC such as the annual Spaghetti Luncheon, Craft Fair and donations. Riders who are interested in using the Via shuttle are still required to register, make reservations and follow all cancellation rules of the service. In 2018, Via provided more than 4,000 round trips to EVAC. It also provided rides for medical appointments, grocery shopping and other miscellaneous errands that Brighton residents need assistance getting to. If you’re interested in learning more about either of these new features at EVAC, please swing by or call 303-655-2075.